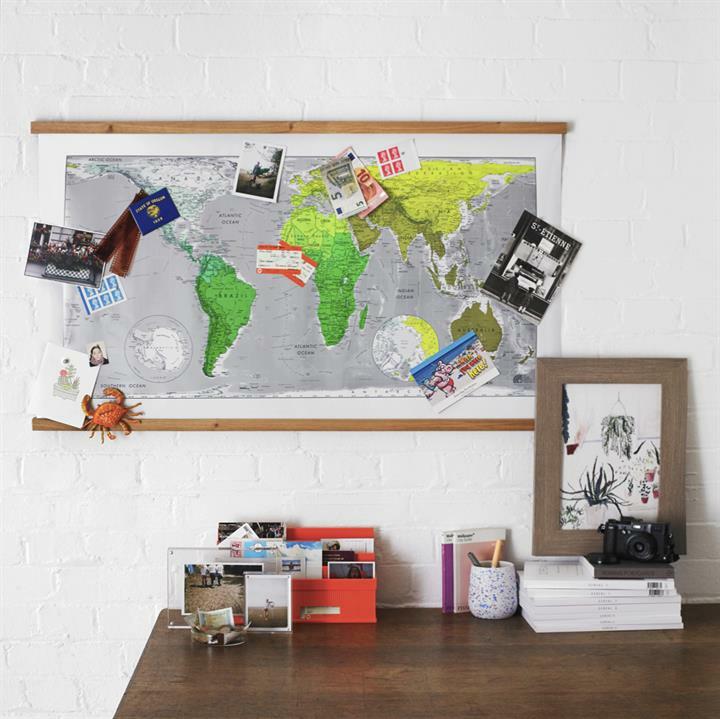 Our magnetic world maps make a great personalised travel map. Mark the countries you have visited with the magnetic pins that come supplied. 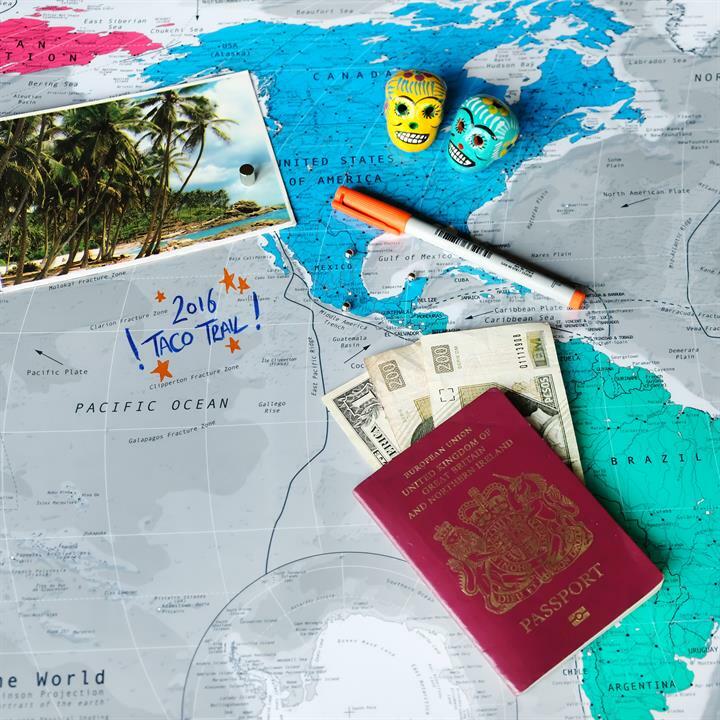 We also supply larger magnets to display photographs or postcards from your travels. 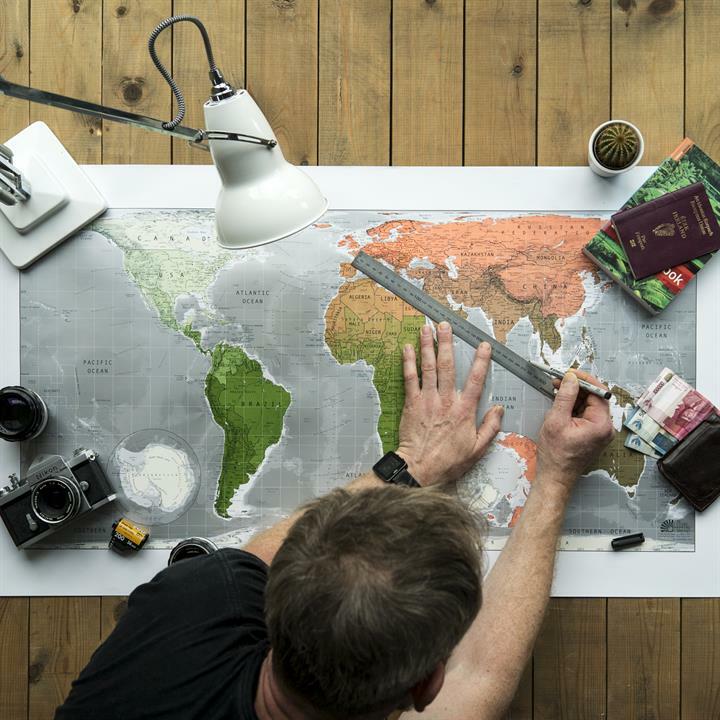 The map has a write on/wipe off finish so you can plot your travels or write notes and highlights with non-permanent or dry wipe pens. 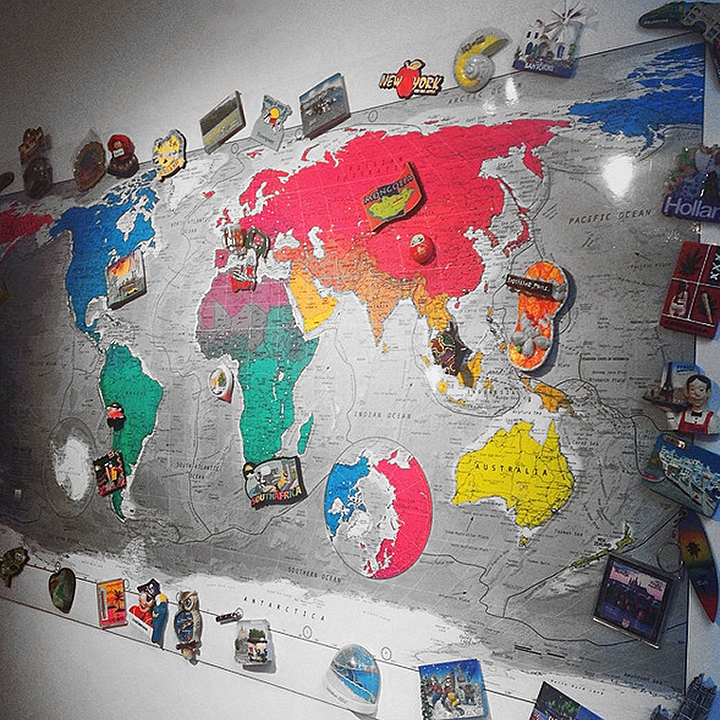 If you've collected tourist magnets from around the world on your travels then our magnetic maps make the perfect display board for them. 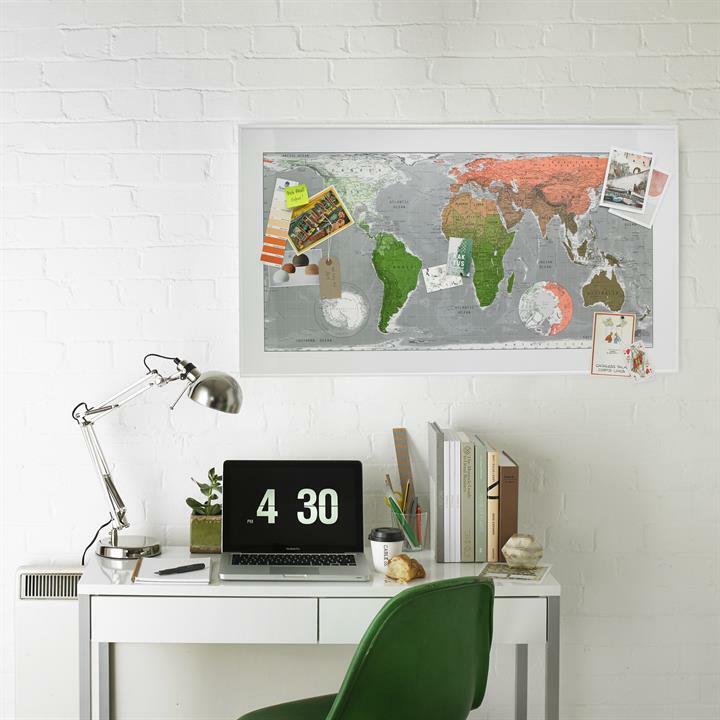 Our world map magnetic pinboards are easily fixed to the wall using the supplied magnetic hanging strips or you can opt for a frame or hanging rails on the product page of each individual map. 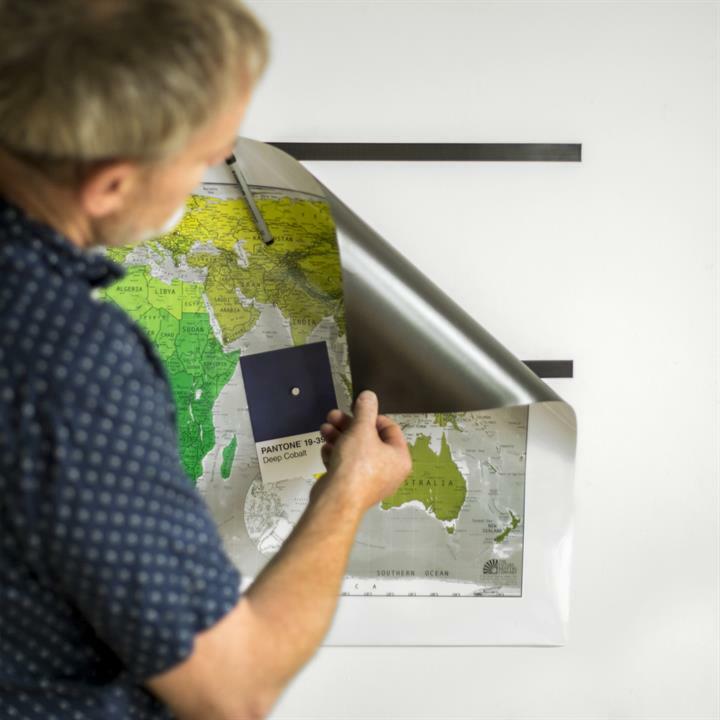 Prices start at £65, simply choose Magnetic Finish on the product page of your desired map. Head to the navigation at the top of this page to start shopping or click here to go to our World Map page to choose your favourite!